Helping Companies Reach Their Potential Through Sona Yukti's Corporate Training Programs. This CSR initiative evolved as a philanthropic spirit and a collective responsibility, working towards helping the poor, weak and underprivileged, to sustainably enhance living standards and raise the nation’s human development index through promotion of education and training, promoting gender equality, empowering women, and employment enhancing vocational skills. Through this enterprise we seek to support and bring about positive social and environmental changes. Education and learning has always held a position of importance in India; however, research and study shows that along with education there is a crying need for industry relevant skills as employers complain of job seekers lacking the skills, attitudes, and knowledge required in the world of work. Our interventions in this working area seek to contribute towards improving access to quality training that has a long-term impact, aligned to the manpower needs of the industrial clusters. Lend a hand in building confidence and develop the essential skills needed to succeed in the professional world. The task that we have set for ourselves is at times daunting when we take into consideration the size of the country, population, and diversity. We would like to develop a robust framework to solicit funds/assistance for skill development projects that will help us design, structure, and manage a larger number of projects. Make available an appropriate facility to be used as a skill development centre. Provide land usage for specific programs like Driver Training Centers, construction-related trades, etc. with high employment potential. Your support will make it possible for someone or many more to learn a skill which will in turn help them have a sustainable future. This gift, from you, will last a lifetime and for generations to come. To empower the under-privileged and the socially disadvantaged sectors of the community by offering Training and Development in Employability Skills and Entrepreneurship Initiatives with the participation of the community and in collaboration with the Government and Corporate sectors. 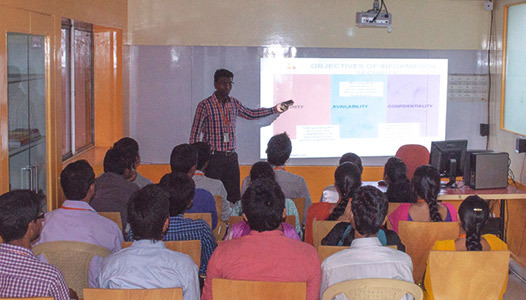 Valliappa Foundation-SonaYukti has partnered with Tech Mahindra Foundation’s SMART (Skills for Market Training) program to deliver Medical Coding Training in Chennai completely free of cost to selected candidates. The training program is part of a CSR activity in association with the NSDC (National Skill Development Corporation) of the Government of India. The Valliappa Foundation and SonaYukti are the CSR initiatives of the SonaValliappa Group, which has been driving the Indian economy through agriculture, construction, real estate, banking, IT, and education for more than a century. Now, by partnering with Tech Mahindra Foundation’s SMART program, a world-class Medical Training program is being offered for the first time in Chennai.